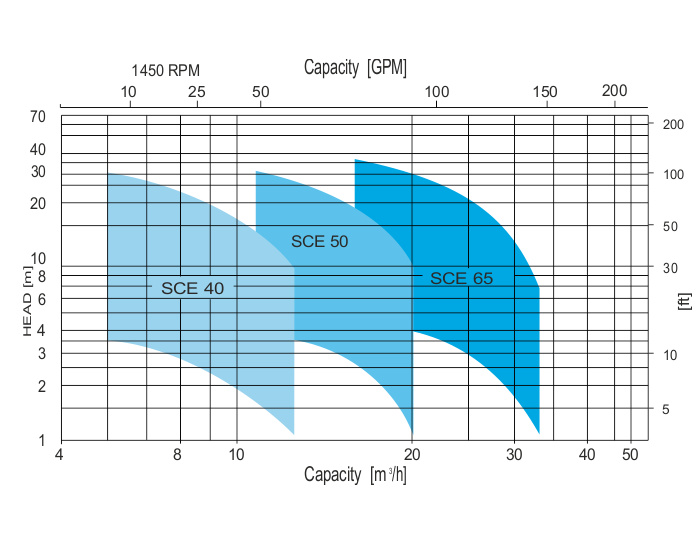 SCE pumps are side channel pumps suitable to handle liquids which doesn’t contain solids or abrasives. The particular design of the hydraulyc allows to handle liquids close to boiling point has led to a wide field of application when condensate, distillate, coolant and liquefied gas shall be pumped. 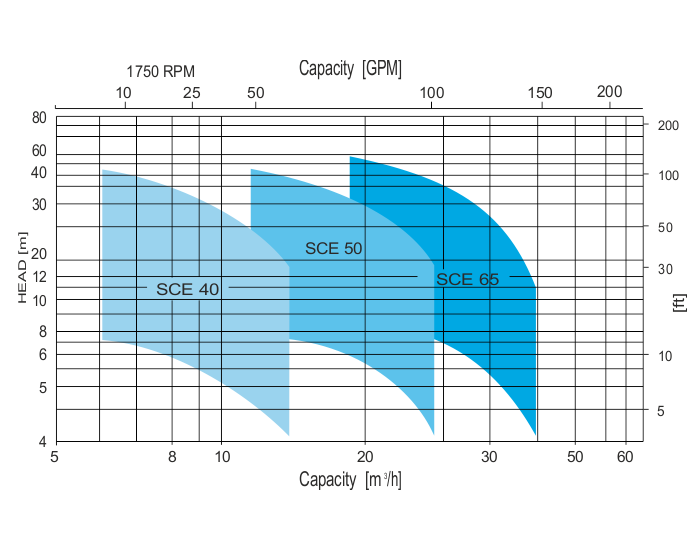 SCE pumps are applied in the chemical and petrochemical industry, transfer of LPG and liquified gases, in the surface finishing and hardening, in the pharmaceutical industry, in the plastic and rubber industry, in the air conditioning and refrigeration engineering and in the food, beverage and tobacco industry. 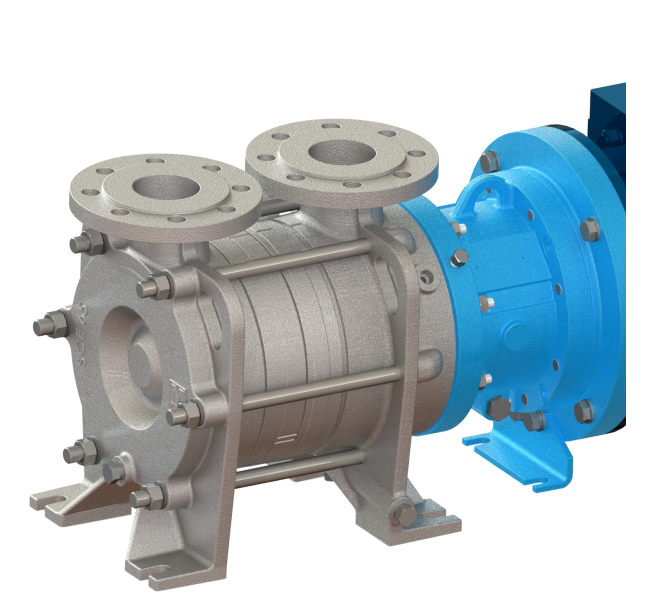 SCE pump series are heavy horizontal self priming, side channel pumps, with top suction and discharge, designed specifically for clean chemical process, low boiling and highly volatile, explosive and dangerous liquids, even in presence of high gas percentages. Low speed operation ensure long life, noiseless operation and reliability. This pump range is dimensionally corresponding to EN 734. Close couple monting, with B5 motors, power up to 15 kW, sealless high efficiency construction, SCE is a compact solution ideal for volatiles liquid transferring. 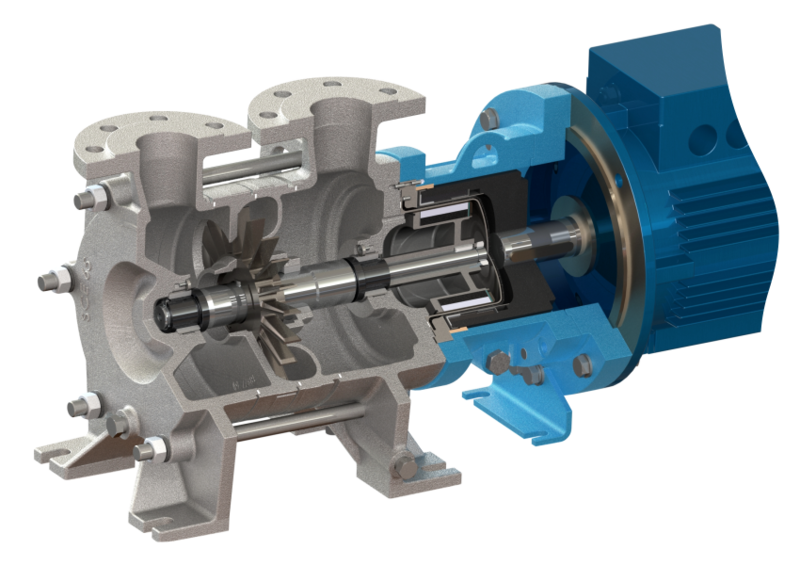 Magnetic drive SCE pumps can be supplied in close couple version, this configuration simplifies installation and eliminates alignment operation, and reduces footprint space requirements, as alternative, long couple version is available.